Come and join us on a scenic float tour on the river Severn in Ironbridge, Shropshire. We are based just outside Telford located in the birthplace of the Industrial Revolution, 30 minutes from Shrewsbury and 1 hour from Birmingham. Our 25 foot rafts are the largest in the UK and each hold 16 passengers. Our boat trips are suitable for all ages and fun for the whole family. There are no whitewater rapids run and we have taken as young as 6 weeks old up to 90 years young. 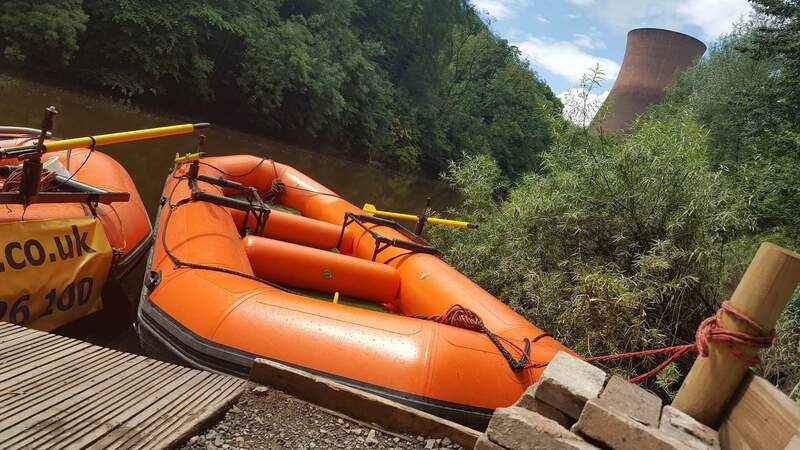 The journey is a round trip of 90 minutes with a good 60 minutes spent on the water which is a perfect amount of time for families to enjoy the sites of Ironbridge and Jackfield. Come see the first ever iron bridge built in 1779 and receiving World Heritage Status in 1986. The bridge has gone through a £3.6m refurbishment in 2018. 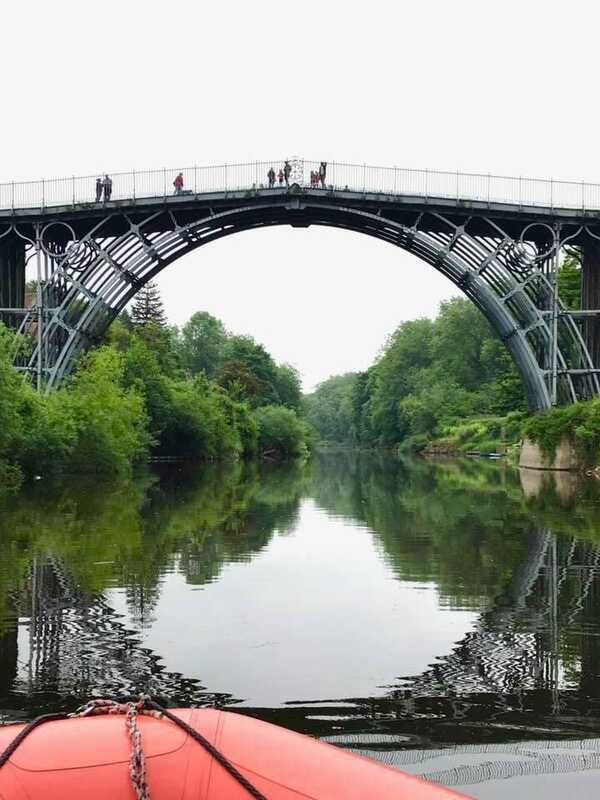 See it from a different perspective as you float through the Ironbridge Gorge. Keep a look out for all the different wildlife along the way including kingfishers, otters, wagtails, swans and so much more. At the end of your river trip we will transport you back by minibus to our start point in the Wharfage car park where you can view and purchase your souvenir photo. PLEASE NOTE: We do allow small well behaved dogs on the raft providing that other customers find this acceptable. If you wish to bring your dog, please call prior to your trip to discuss this. To avoid disappointment larger groups of corporate team building, families and friends should call in advance to secure dates and times. For group bookings we can tailor tip times for you. Please call us for details. We are proud of the fact we have kept the same prices since opening in 2015. We want to continue giving value for money throughout the season so everyone can enjoy time on the river. 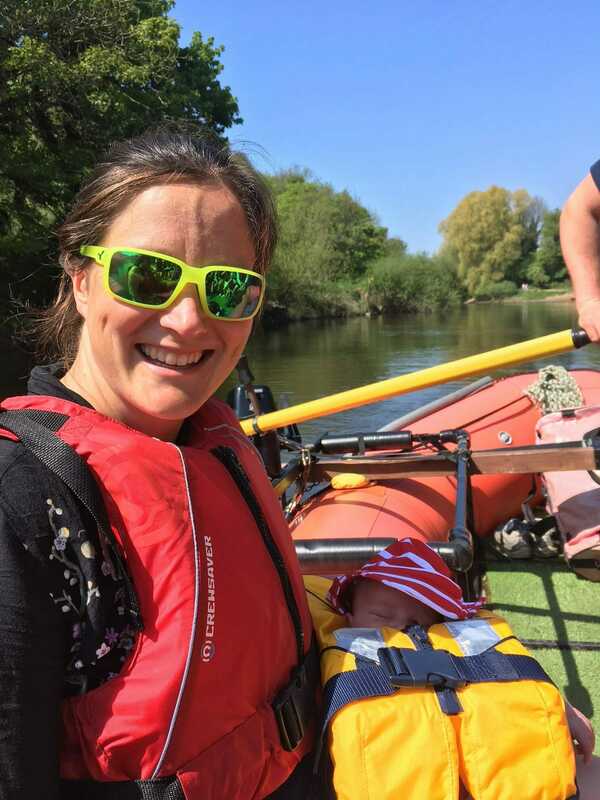 We invite you to travel with us on a river rafting mini-adventure and share our love of the Ironbridge Gorge (the birthplace of the Industrial Revolution) and the Severn River. Our rafting trips are great for young and old alike looking for a more mild adventure. Explore a historical river route used over five hundred years ago for the transport and trade of many exotic and domestic products. Where 80-100 foot barges used to transport goods passing through 80 miles of idyllic countryside, from inland to the sea. Where fishermen used to submerge themselves with nature to catch the largest fish, and where boatmen and rowers alike glide across the rivers surface. Float under the first iron bridge ever made and enjoy the splendour of the birthplace of the Industrial Revolution. The river route we follow can be seen below. The tour starts at The Wharfage car park from our Little Green Kiosk located next to the Museum of the Gorge (TF8 7NH) and finishes at Jackfield. Park your car at the Museum of the Gorge car park (3 hour pay and display) or Dale End car park (full day pay and display) and book with us at our Little Green Kiosk. Take a trip downstream and we will drive you back to the start on the Shropshire Raft Tour’s shuttle bus. That way your car is waiting for you at the end of the trip. For more information please contact us from our Contact Page.